I think it is so important to have areas close to the suburban or city areas where many of us live, to find a wilderness like experience. The image was taken at Cougar Mountain State Park, a location right out may backdoor-a quick refuge whenever I need a hideaway. 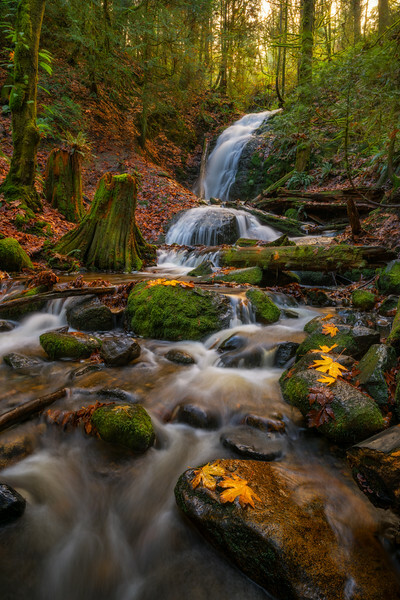 This is an image from my hike yesterday to Coal Creek Falls. The trail access to these falls is close to the suburban city of New Castle. The trip to the Falls is about 5 miles round trip, and for people living close to this area the hike can easily be done in the morning keeping your afternoon free for other activities. The Falls are particularly beautiful in the Fall and Winter when there is either Fall Color or Snow.